The worst may be yet to come for Turkey. The Turkish lira has dropped more than 40% against the dollar since January, thrashed by a potent mix of confrontational politics, economic policy confusion and US interest rate hikes. 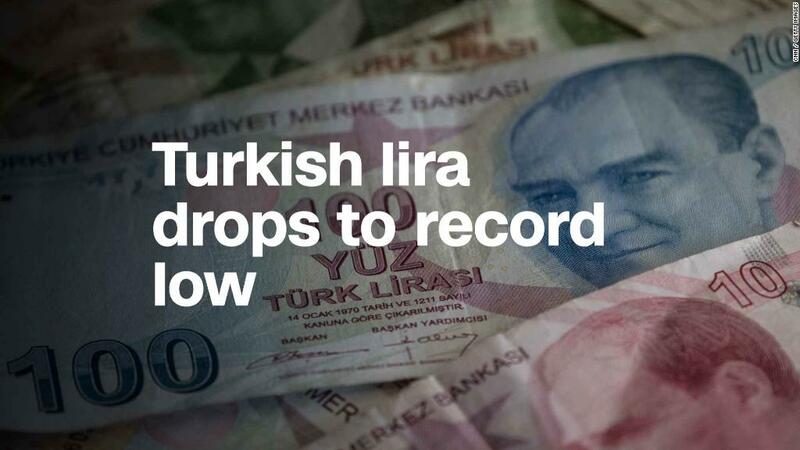 The escalation of a political spat with the United States has fueled volatility and further devalued the lira against other currencies. Turkish citizens hoping for relief may be left disappointed. President Recep Tayyip Erdogan has struck a defiant tone in recent days, dismissing calls for emergency measures that would support the lira and stem the flood of money leaving Turkey. Re-elected in June, Erdogan has further unnerved investors by resisting interest rate hikes, the crisis antidote prescribed by economists. Interest rate hikes by the US Federal Reserve have put emerging markets under pressure in recent months as investors redirect their money to capitalize on higher returns in the United States. Turkey is among the economies most vulnerable to the trend, but it’s not the only country in trouble. Argentina asked the International Monetary Fund for a $ 50 billion bailout in June. Many Turkish companies have sought to lower their borrowing costs in recent years by taking out loans in foreign currencies. Observers worry the firms will now fall behind on the loans because customers pay them in lira. With inflation already running in the double digits, the currency slide promises to make imported products much more expensive in Turkey. Who’s coming to the rescue? Turkey could now seek a cash injection from an outside source, but its options are limited. Unlike recent bailout recipient Greece, Turkey is not a member of the European Union and it does not use the euro. That means the European Central Bank and wealthy countries in northern Europe probably won’t foot the bill. Relations with the United States have seldom been more strained. Turkey is detaining an American pastor, and the Trump administration announced plans on Friday to double metals tariffs. The Turkish leader may have more luck with China, Qatar or Russia. Erdogan spoke to President Vladimir Putin on Friday, a conversation that included talk of deeper economic ties and mutually beneficial trade, according to Russian state media. But any rescue would come at a steep price. 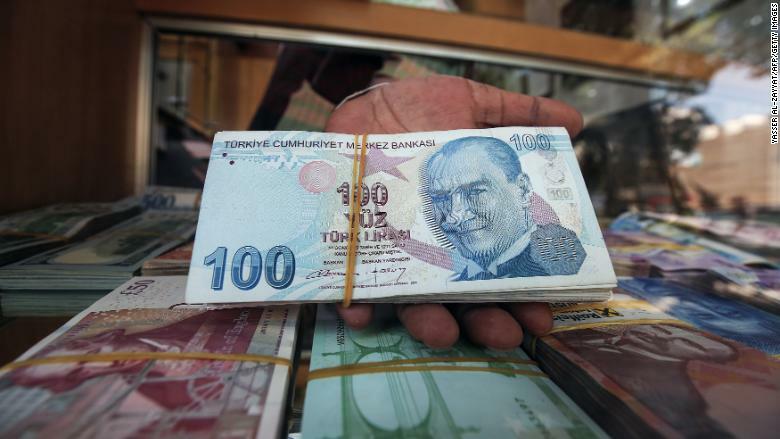 Investors have been especially unnerved in recent weeks by a lack of action by the Turkish central bank, which shocked markets last months when it declined to hike interest rates in the face of rampant inflation. Hesse said that a handful of marginal measures announced by the central bank on Monday were like “trying to fight a forest fire with a garden hose,” and massive rates hikes of up to 10 percentage points are needed to restore confidence. Markets would also welcome a cooling of tensions with the United States. On Monday, there were few signs that Erdogan would back down. “You are a strategic partner in NATO and on the other hand you stab your ally in the back? Is this acceptable?” Erdogan said during a speech in Ankara. Should the crisis continue, Erdogan may be forced to change his tactics.